We are dealing in Carboxymethyl Starch. Specification:- As per customer requirement. Packing: - In 25/50 Kg HDPE bags with inner liner of LDPE or as per customer requirement. 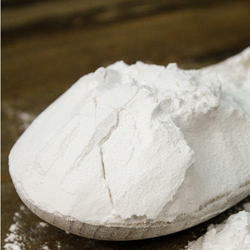 Carboxy Methyl Starch (CMS) is a water-soluble polysaccharide which is widely employed as an additive; it is biodegradable and non-toxic products that are finding an increasing number of applications. Relying on our team of dexterous professionals, we have established as a prime manufacturer, exporter and supplier of Carboxy Methyl Starch. It is widely used for thickening, stabilization and water preserving. This chemical is used as disintegrant in pharmaceutical industry and as thickening agent in textile printing paste. Diverse uses of starch make it a very versatile product. Maize or Corn Starch is a typical cereal starch with distinctly low protein and ash contents. Its carbohydrate content of high purity makes it of use in several industries. Maize or Corn Starch is a typical cereal starch with distinctly low protein and ash contents. Its carbohydrate content of high purity makes it useful in several industries. It contains about 66% of starch, which can be separated from other ingredients by various processes such as steeping, grinding, purifying and drying. satrch ether is used in textile, paper, paints and in construction chemicals. 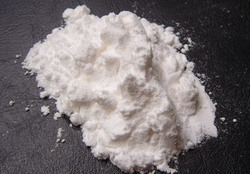 Prejel PA5 PH is a cold water swelling fully pregelatinised potato starch in the form of a white, free flowing powder. Prejel PA5 PH complies with USP–NF and Ph. Eur. and JP monographs for pregelatinised starch.